Over the years I have grown to love biographies found on the young children’s shelves at the library. Picture books have a magical way of sharing information to children of various ages; picture books are not limited to preschoolers! Beautiful, detailed, or engaging illustrations help young minds to grasp the lives being shared. The information shared is not overwhelming and is a great way to capture interest. We have enjoyed two different picture book biographies that shared the stories of Albert Einstein and Jean-Henri Fabre. 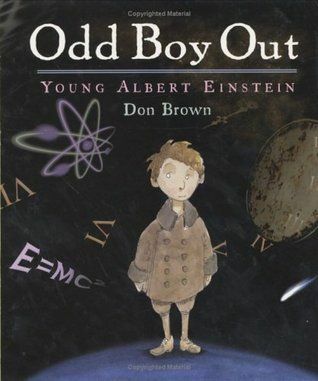 Odd Boy Out: Young Albert Einstein (Don Brown) is an excellent resource for your early elementary students. Odd Boy Out shares about Einstein’s difficulties as a child and a young boy. He was different, peculiar, and well, just odd. While Einstein was clearly smart, he did not fit in with the expected behavior of a student which caused many issues in his education. The book does not cover details about Einstein’s scientific discoveries; just gives a mention to them. Odd Boy Out would serve as a great jumping off point to studying more about this scientist or any of his scientific achievements. Children who may struggle with “fitting in” or being viewed as “different” , might be encouraged by reading this. I read this book aloud but solid readers in the early elementary range could enjoy this as an independent read. 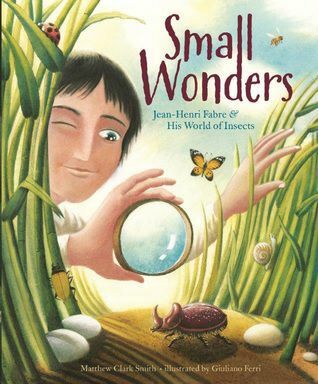 Small Wonders:Jean-Henri Fabre and His World of Insects (Matthew Clark Smith) tells the story of a boy who is fascinated with insects. In the countryside of France, Fabre would spend hours studying the lives of the little creatures all around. Beetles, spiders, moths, bees…surely these insects had amazing workings and importance to be discovered. I read this book aloud with much anticipation. Would my children catch the name of this naturalist? We read some of Fabre’s works in our science and nature studies. It was great to see the recognition dawn on their faces. Small Wonders tells of Fabre’s childhood and his adult life as well. He dedicates his life to the study of insects and writing about them. We found his study of the spider to be amazing. This is a well written account for young people on a likely not so well known naturalist. The story of Fabre is presented in a storybook way that will engage readers and the illustrations work beautifully with the text. What science readings have you enjoyed lately? This entry was posted in Book Reviews, Books, Homeschool, Read alouds and tagged Books, literature, reading, science by sweetie. Bookmark the permalink.